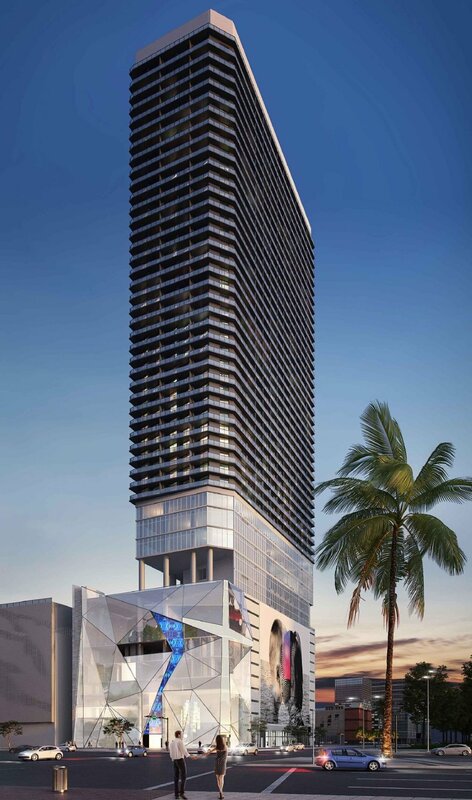 Plans have been revealed for a 49 story tower located at 400 Biscayne Boulevard called PMG X Biscayne. 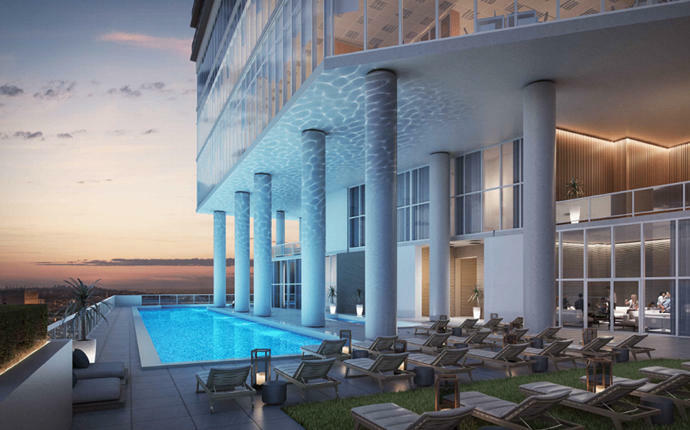 PMG X Biscayne will have 646 residential units 48,000 square feet of office space and 3,000 square feet of retail. The Sieger Suarez designed building is being developed by Property Markets Group and Greybrook Realty Partners. The site was purchased for $53.6 million in October 2017. 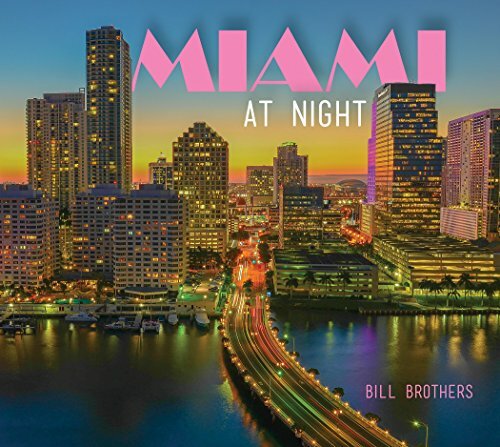 Property Markets Group and Greybrook Realty Partners completed the nearby 31 story X Miami in July 2018. The First United Methodist Church, which has been torn down on the site, is getting a new facility apart of the property with separate entrance. 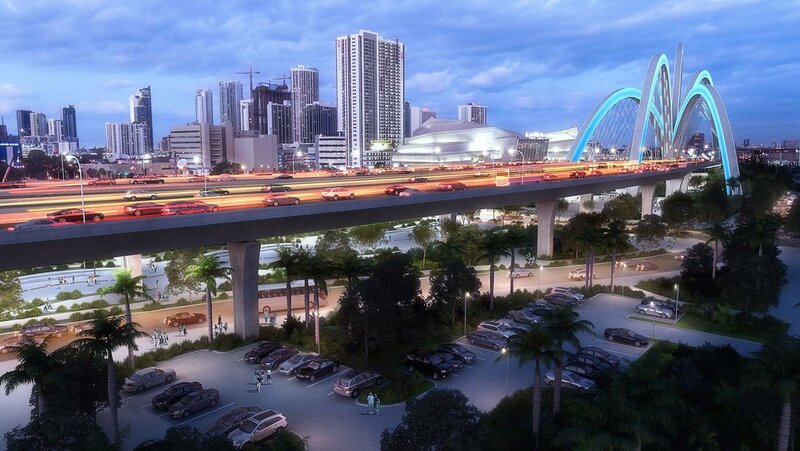 Plans for PMG X Biscayne go for review by Miami’s Urban Development Review Board tomorrow. 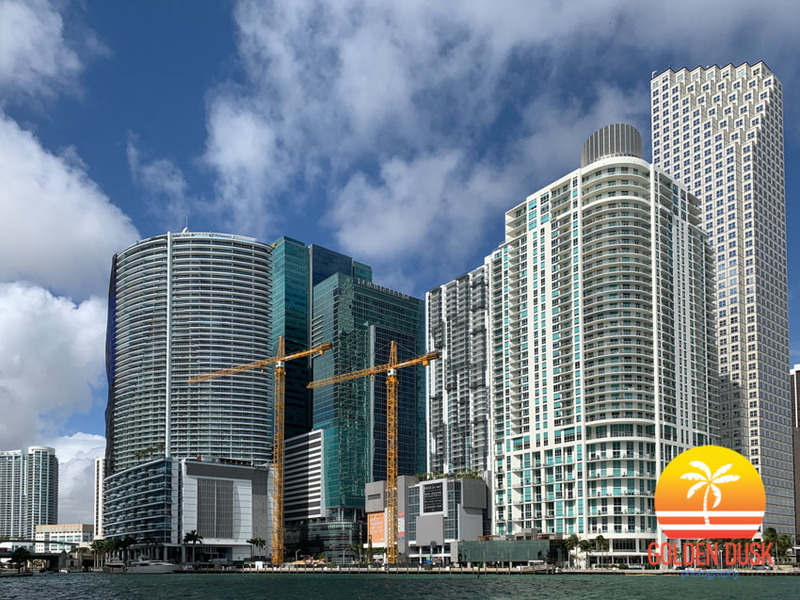 Excavation continues at the Aston Martin Residences site in Downtown Miami along the Miami River since the two cranes were installed last month. The foundation pour should happen in the upcoming month on the 66 story building with 390 residential units. Previous construction photos of the Aston Martin Residences can be viewed here. 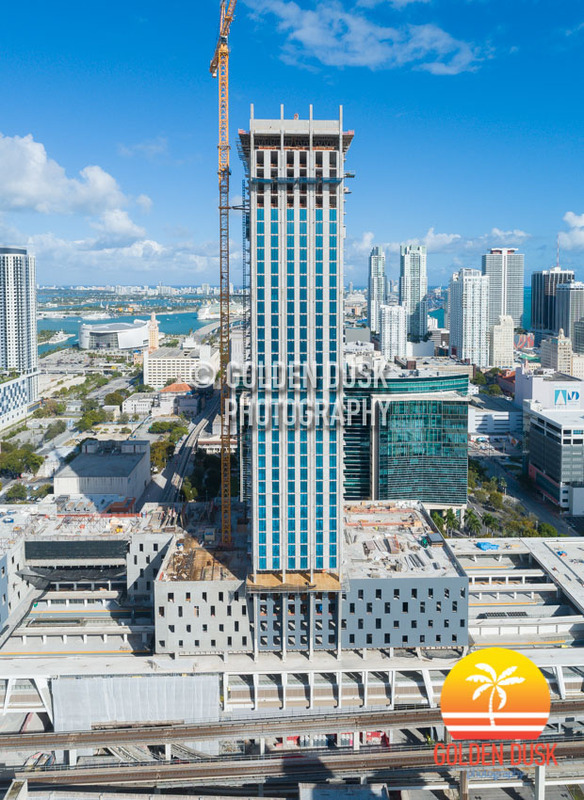 The 60 story Paramount Miami Worldcenter in Downtown Miami is getting closer to completion as the crane has been removed from the building giving a clean look at the tower without any obstructions. 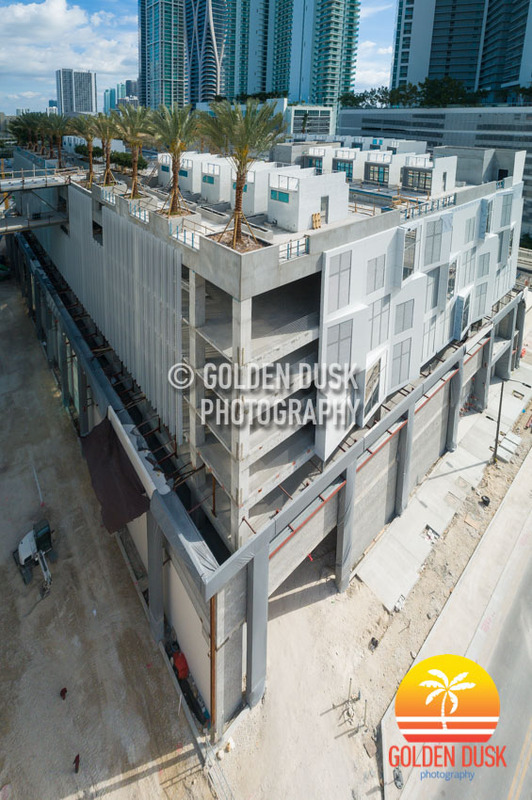 When we last looked at Paramount Miami Worldcenter in August 2018, the 641 foot tower just topped off. A year ago, construction was reaching the 45th floor. 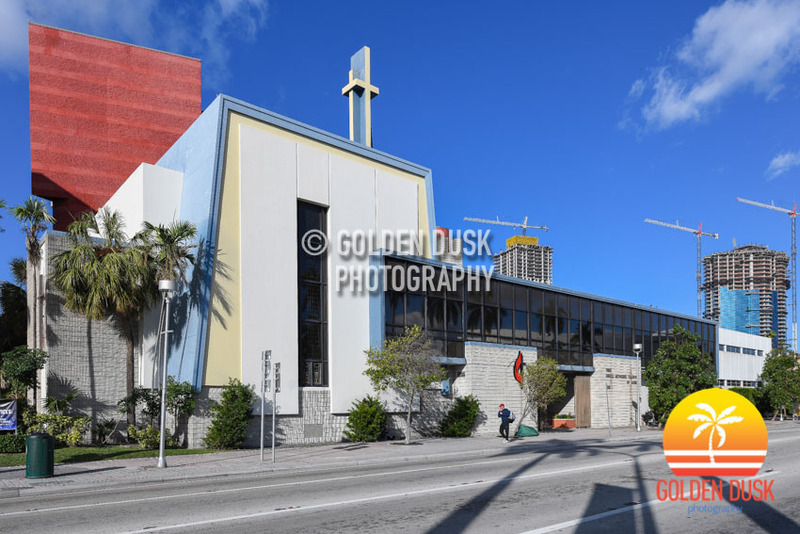 Across the street in the 27 acre Miami Worldcenter is the rental tower Caoba and was completed in January. 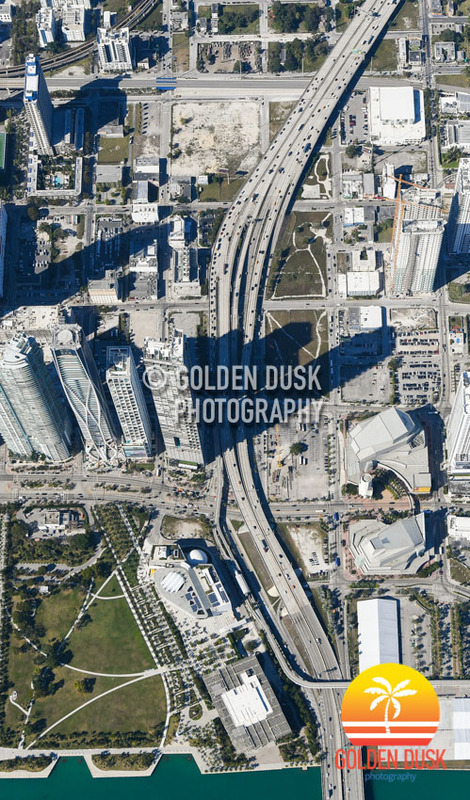 Previous construction photos of Paramount Miami Worldcenter can be viewed here. The Krystal Tower site, located at 530 NW First Court in Downtown Miami is planning to be revamped as the 32 story Krystal II, according to Miami Today. The site was sold in January for $8.5 million to BH Investments. The original Krystal Tower was under construction in 2006 and supposed to be a 35 story condo with 153 residential units, but never got finished and remained a vacant 4 story shell for 13 years. Krystall II will be 32 stories with 154 residential units, 79,180 square feet of office space and 4,440 square feet of retail space. The South Tower At ParkLine Towers at MiamiCentral has topped off at 33 stories. The North Tower topped off in September 2018 at 30 stories. Both towers will have a total of 816 rental units and is expected to be completed by this year. Previous construction photos of the ParkLine Towers can be viewed here. Two cranes have been installed at the Aston Martin Residences site in Downtown Miami as the 66 story luxury condo is about to go vertical. The onsite sales center was completed June 2017 and foundation work began November 2017. With 390 residential units, the Aston Martin Residences is expected to be completed in 2021. 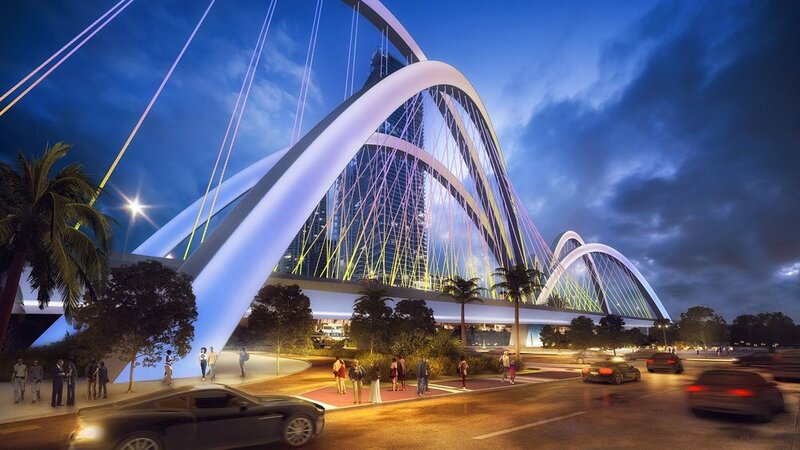 Construction has now started on the $800 million Miami Signature Bridge, which includes a redesign of I-395. The Signature Bridge will have six arches with lighted LED’s designed by Archer Western and The de Moya Group that was chosen in May 2017. Construction is expected to be completed in the Fall of 2023.